London, UK: Methuen & Co., Ltd., 1972. Book. Very Good. Large Softcover. Third Edition. 8vo - over 7¾" - 9¾" tall. 862pp, Illustrated with maps. Detailed geography of India, Pakistan and Ceylon. Former owner's signature on title page. No other marks, no tears..
NY: Meredith Publishing Co., 1962. Book. Good-. Soft cover. 8vo - over 7¾" - 9¾" tall. 352pp, Endpapers and title page with many neat handwritten notes. The Introduction and the first 20 pages have notes and some underlining also, but the rest of the book is mostly free of marks..
NY: Perennial/Harper & Row, 1988. Book. Very Good. Soft cover. 8vo - over 7¾" - 9¾" tall. 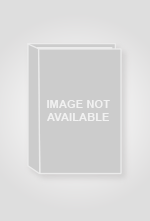 363pp, A biography of the writer. Softcover. Some shelf wear. Clean text. Very Good. HarperCollins, 1997. Book. Very Good. Hardback. Stated First Edition. 8vo - over 7¾" - 9¾" tall. 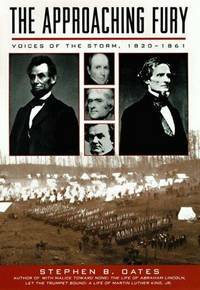 495pp, The story of the coming of the Civil War through the voices of 13 main actors in the drama from 1820-1861. No marks or tears..
Waco, TX: Word Books, 1974. Book. Very Good-. Hardcover. 3rd Printing, May, 1974. 8vo - over 7¾" - 9¾" tall. 291pp. A culmination of 25 years teaching experience, developed in classroom conversations with students and written in light of their reactions and the most up-to-date scholarship in the areas of psychology and religion. Rear flap of the dustjacket containing a photo and short shetch of the author laid in. There is also a brochure of the 22nd Annual Yokefellow Conference, Earlham College, March 21-22, 1975, laid in. Moderate underlining in text. Very Good-. London, UK: Paul Hamlyn, 1966. Book. Illus. by Michael Joseph. Very Good+. Cloth. First Edition. Folio - over 12" - 15" tall. 287pp, Illustrated with color and black & white photos of children. Ten writers explor the mystery and delight of childhood. Blue cloth. A few small spots on for-edge. No other marks or tears..
Chicago, IL: Contemporary Books, 1979. Book. Very Good-. Soft cover. Illustrated with numerous b&w photos. 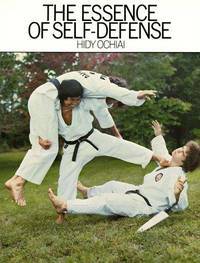 A self-instructional manual for self-defense. Condition: Very Good-, several page corners bent. Martial Arts..
NY: Simon and Schuster, 1941. Book. Very Good. Hardcover. Hardcover, no dustjacket, 645 pages. Descriptions and analyses of nearly 300 orchestral works. Foxing on front and rear inside hinges..
NY: G. P. Putnam's, 1996. Book. Very Good+. Hardback. 8vo - over 7¾" - 9¾" tall. 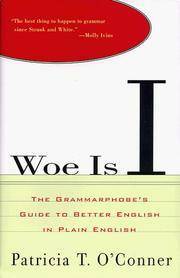 227pp, Correct grammar and punctuation. No marks or tears. A nice copy..
NY: Harper/Torchbooks, 1974. Book. Very Good. Soft cover. 8vo - over 7¾" - 9¾" tall. 222pp, Essays in the theory of capitalism and imperialism. No marks, tight binding..
New York, NY: Dance Magazine, 1952. Book. Good. Thick Paper Boards. 4to - over 9¾ - 12" tall. 68pp, 1952. Large format, paper board with moderately faded edges. No marks or tears. Text and illustrations are bright and clean..
Charleston, SC: Arcadia Publishing Co., 1998. Book. Near Fine. Soft cover. 8vo - over 7¾ - 9¾" tall. 126pp, 1998. Bright and clean with no marks or tears. 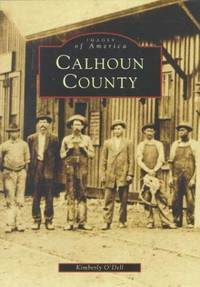 Old pictures of Calhoun County, Alabama..
NY: Viking, 2000. Book. Very Good. Hardcover. Later Printing of the 1st Edition. 8vo - over 7¾" - 9¾" tall. 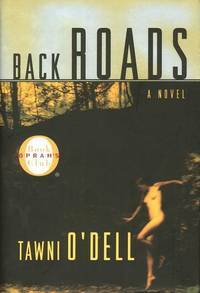 338pp, A young man in the Pennsylvania backwoods caring for his three younger sisters falls in love with a woman down the road. An Oprah Book Club selection. Tight and clean, no marks. Very Good. NY: Tom Doherty, 2003. Book. Near Fine. Cloth. First Edition. 8vo - over 7¾" - 9¾" tall. 397pp, Black cloth with intact dustjacket. No marks or tears. A very nice copy. 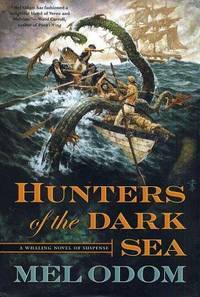 An alternate history whaling novel set during the War of 1812 involving a space monster. Said to be a real page turner..
NY: Hyperion, 2000. Book. Illus. by Clyde Smith and Mel Odom. Fine. Pictorial Hardcover. First Edition. 4to - over 9¾" - 12" tall. 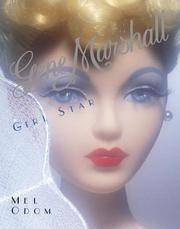 191pp, Profusely illustrated with photos and artwork describing the discovery of Gene Marshall and her subsequent career as a doll model and movie star. Decorative endpapers. Front and rear covers illustrated in color. A very beautiful book. There is a long inscription to a former owner on the first blank page. Fine in a near fine dustjacket. The DJ has only a few small smudges on the cover. No marks..
Evanston, IL: Row, Peterson & Co., 1948. Book. Illus. by Florence J. Hoopes and Margaret C. Hoopes. Good. Hardcover. 160pp. A school textbook with school stamp on the inside front cover. Red cloth hardback. There is a color illustration on each page. An elementary reader. Shelf wear. Good. NY: Yachting Publishing Corporation, 1963. Book. Good+. Soft cover. Revised Edition. 4to - over 9¾" - 12" tall. 96pp, Illustrated. Various articles reprinted from Yachting magazine, by several different authors on a variety of topics mostly related to racing. Top fron corner bent. No tears or marks..
NY: Henry Holt, 1998. Book. Very Good+. Hardcover. Large Print Edition. 8vo - over 7¾" - 9¾" tall. 368pp, The private thoughts of an Irish woman on the Dublin intellectual scene. Large print. Clean and tight. Very Good+. NY: McGraw-Hill, 1953. Book. Very Good+. Cloth. 3rd Impression. 12mo - over 6¾" - 7¾" tall. 478pp, 3rd impression, 1953. Illustrated in black & white and color. No marks or tears. Green cloth hardcover without dustjacket. A nice copy..
Englewood Cliffs, NJ: Prentice Hall, 1967. Book. Good+. Cloth. Second Printing. 4to - over 9¾" - 12" tall. 437pp, Profusely illustrated with black and white photos and drawing of football plays. An in-depth look at the job of the pro quarterback in football. Blue cloth with slight darkening at top of spine. Good+.